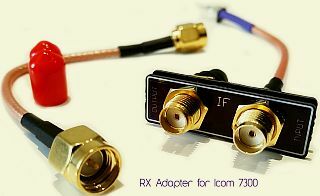 On the internet kits or adapters are offered to provide an IC7300 with an extra receiver input. This replaces a connector that controls an ATU. 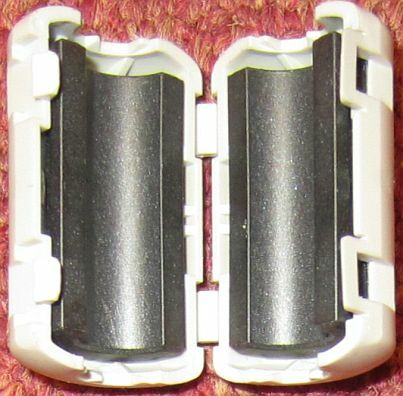 This connector can remain in place because underneath is space to feed through thin (PTFE) coax cables. The additional connections can be mounted on an Alu L profile. I fix that with two-sided mirror adhesive TESA tape. That is very strong stuff and firmly held is my experience with other applications. In this way, the original condition of the set can be restored without damage. If the extra input is intended for an active antenna, then it is advisable to mount another plug for it, so that it is not used accidentally as a transmitting antenna. Inside a clip-on choke/suppressor was plenty room for installing resistor and diode, so they are well protected . When one use the TUNE button (or PTT) of an IC-7300 in line with a linear amplifier and automatic antenna tuner, the amplifier is activated and overload the ATU. Often the ATU goes faulty one has experienced. 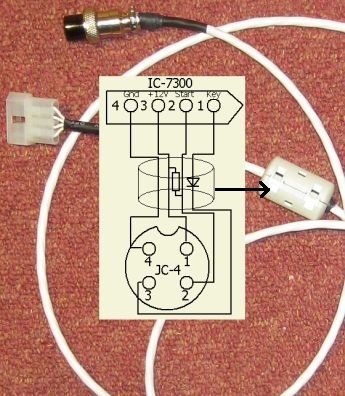 If IC-7300 is "ON" pin "Key" of Tuner Control Socket is "high" and Rly is closed so that the amplifier can be operated via pen "SEND" of the Send Control Jack. The moment that "TUNER" buton is pressed, pin "Key" goes low, Rly disconnect "SEND" and IC-7300 activates the ATU a couple of seconds with about 10 W. Then "Key" goes "high", Rly closes and the PA can be used. SYSTEM 2 is in progress!